Groats production in Ukraine rose in January-February 2018 versus the same time period in 2017. 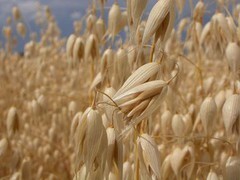 Production of oat groats continued showing the greatest increase among all groats in the first two months of the current year: up 343% at 2.61 KMT. Output of buckwheat groats gained 34%, reaching 10.43 KMT, while that of wheat groats jumped to 735 MT versus 51 MT at the same time last year. On other hand, February’s output of millet groats dropped by 33% (to 2.62 KMT), that of corn groats decreased 21% (to 1.39 KMT) and barley groats production lowered by 14% (to 2.32 KMT). At the same time, millers produced a smaller volume of semi-husked, husked or ground rice. It totaled 2.72 KMT in January-February 2018 that is down 47% on the year.